Lead compounds failing are a likelihood in any discovery effort. When a product is delayed in failure, it is a major hindrance with any sized development company for launching new medicines, and all the capital invested into the product up to that point is lost. At Drik, we believe the future of any drug discovery depends on its present safety testing: the earlier the failure, whether for lack of safety or efficacy, the earlier any expensive clinical trials can be avoided. Our aim is to provide customized, cost-effective studies, which provide results within a short timespan. We let you focus on product progression while we simultaneously work on the safety, efficacy, and toxicology studies required as part of your development activity, and take your innovation to the clinical trial phase. DRIK offers non-GLP and GLP testing in rodents, dogs, and monkeys. 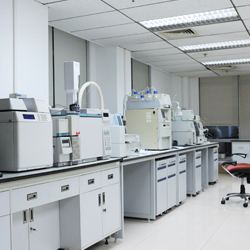 We have dealt with a wide and diverse range of compounds (such as small molecules and biologicals) and models and routes (such as oral and parenteral), and have successfully established programs that avoid the risk involved in product development. FDA requires many safety regulations and different levels of genetic toxicity testing for drugs before entering market. Three sets of genetic toxicity testing is available for FDA submission. All three genetic toxicity testing can be performed by DRIK as a GLP or non-GLP study. First, Ames test is performed to determine if mutations occur in bacterial DNA because, mutations often leads to cancerous changes and it’s a good preliminary test to find if a candidate drug or chemical has carcinogenic properties. 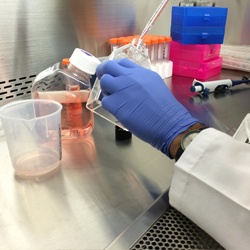 Second, the in vitro DNA damage in mammalian cells is assessed. There are three layers of testing involved, in vitro chromosome aberration test, micronucleus testing and mouse lymphoma assay. The tests enable to determine structural breaks in chromosome, changes in chromosome number or gene mutations. Third component of FDA required genetic toxicity testing is performed in vivo, The micronucleus and chromosomal aberration tests, performed in the bone marrow of mice contains rapidly dividing cell types and provide a good indicator of the genotoxic potential of a test compound. The above tests require a minimum quantity of the test compound (few mgs) sufficient to provide early information for risk assessment and mitigation.